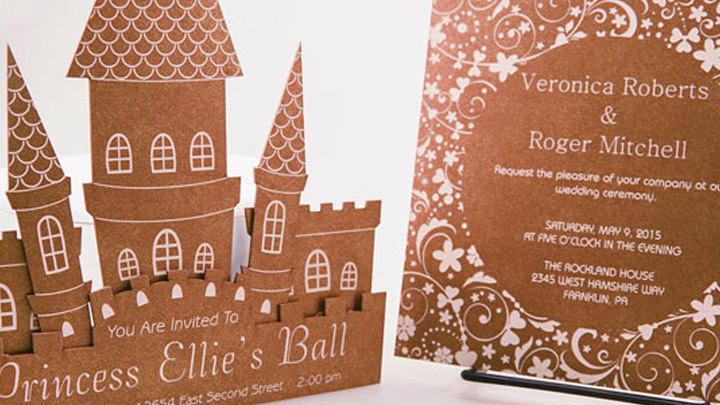 Whether you're getting ready for a children's party or a more elegant event, this golden-metalic matboard is well-suited for a variety of occasions. 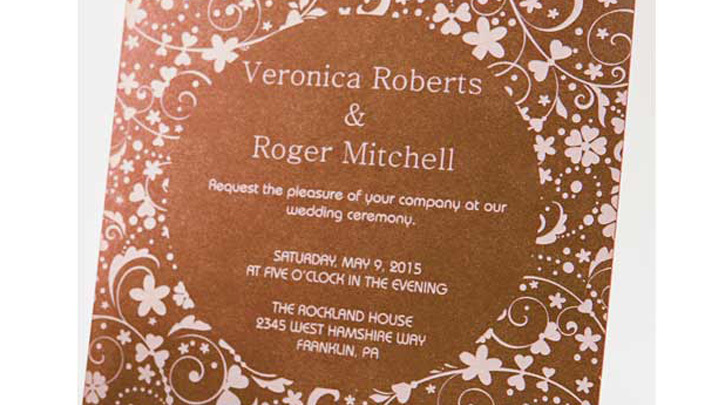 When engraved, they produce a cream-colored contrast on the darker gold background. 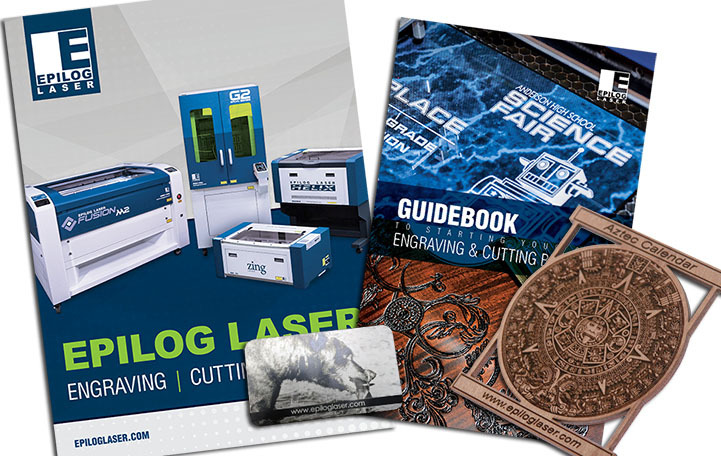 Modify Epilog's designs or come up with your own - when laser engraved and cut, you'll see stunning results on this medium. 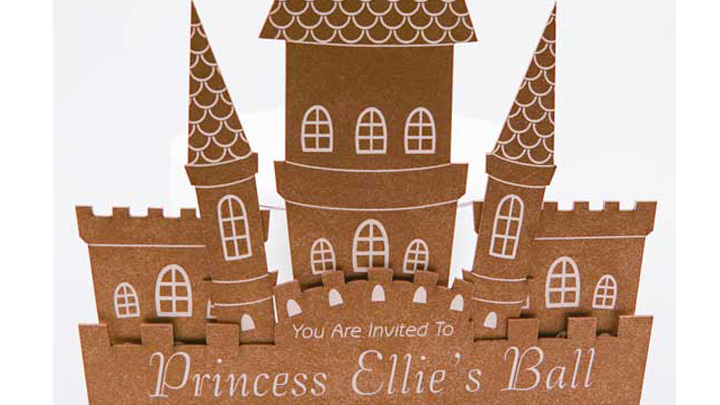 Create custom party invitations, wedding invitations, and more with an Epilog Laser system! 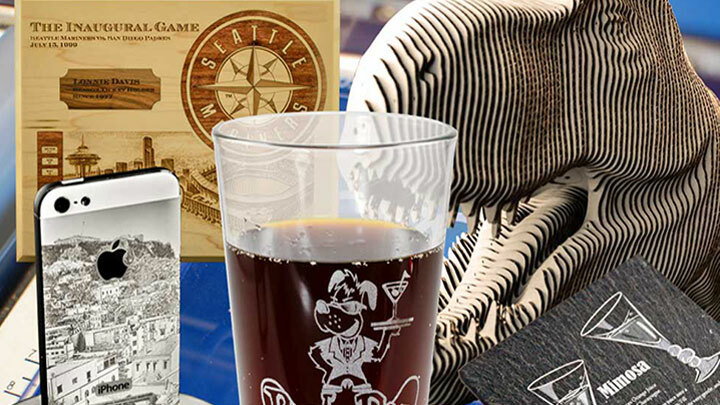 You can customize the artwork however you'd like - use a fun design to really create a celebration! 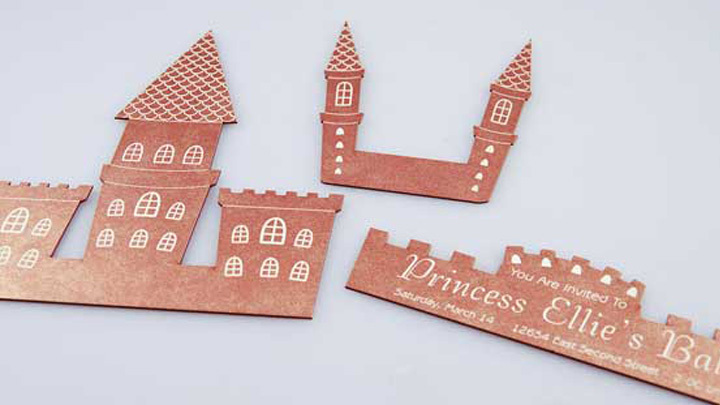 The laser cut pieces are ready to be assembled and sent out for the party. The completed invitation comes out beautifully! Decorative matboard. We chose Rogue Gold from dickblick.com. Start by opening your file and modifying it as necessary. Insert your matboard and send the job to the laser. 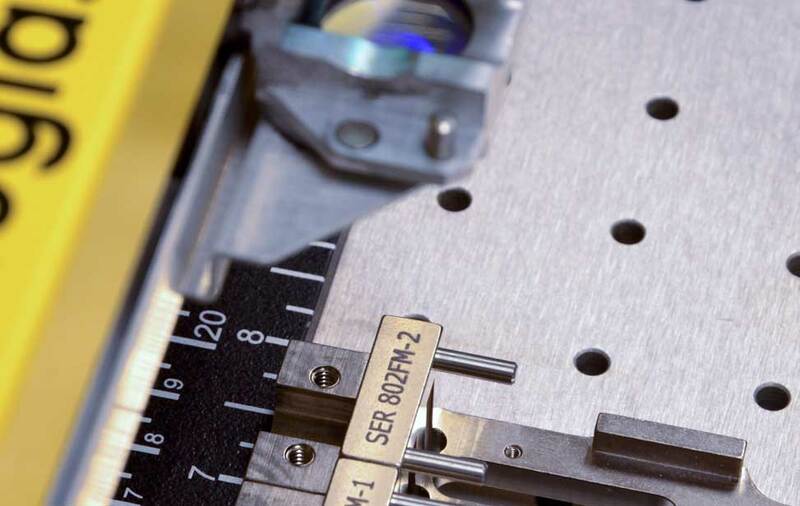 Using glue or double-sided tape, assemble your laser-cut components into the final product seen below. Don't forget to check out the wedding invitation file, too. 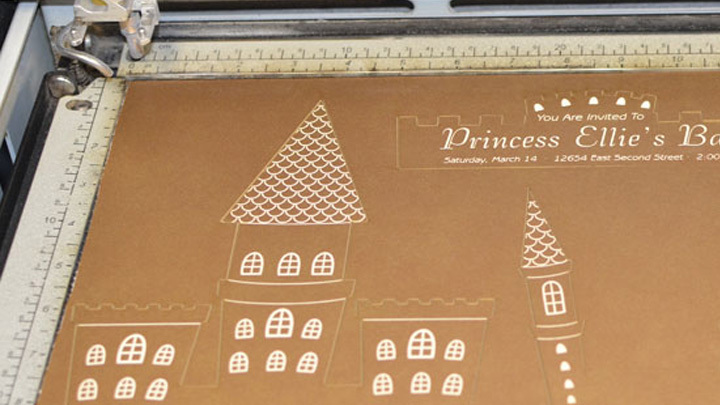 No assembly required on this one - just personalize as necessary and send to the laser!